Situated at the foot of Macleods Table, The Black Shed at Skinidin is set in a stunning location overlooking Loch Dunvegan. 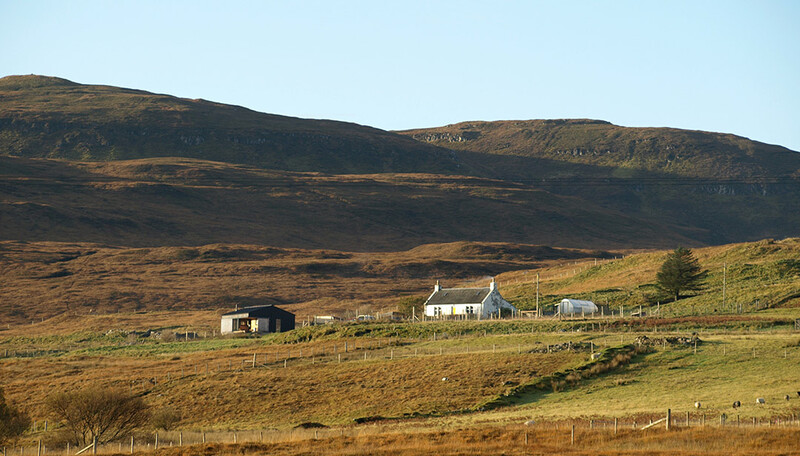 Ideally placed on the North West peninsula, Duirinish, is the perfect spot from which to explore the whole island. Four miles from Dunvegan where there are a selection of local stores and amenities for your immediate needs, and of course the famous Dunvegan Castle and Gardens. For further information on events, latest activities and things to do why not check out Whats on Skye?